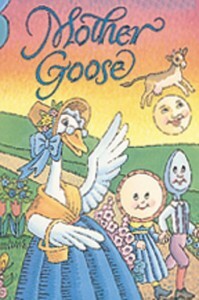 According to HolidayInsights.com, May 1st is Mother Goose Day. 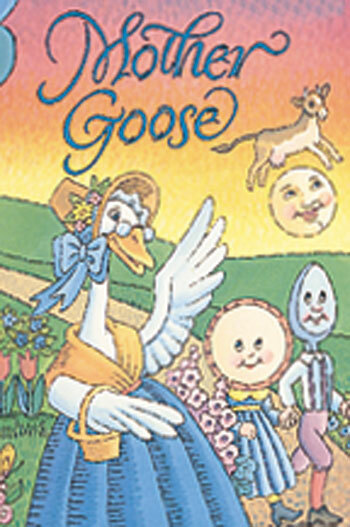 Apparently, the term “Mother Goose” dates back to the 1650’s and refers to stories like Cinderella, Little Red Riding Hood and Sleeping Beauty, as well as the nursery rhymes we know and love, like Little Miss Muffet, Jack & Jill, and Old Mother Hubbard. I know I read many of these stories and nursery rhymes when I was young and also read them to my kids when they were little. We’ll generalize it a bit more today with the free-for-all question. Think back to your own childhood or to the books you read to your children. If you had to choose only one favorite children’s book, which one would it be? What Can You Do with Happy Birthday to You? My favorite book of all times is, “The Velveteen Rabbit”. I keep a beautifully illustrated copy laying on the nightstand in my guest room. This was Margery Williams first Childrens book and it was published in 1922. It has received many literary awards and continues to be well read and well known. What an inspiration to writers, that a ‘first’ book would have such acclaim! Write on! My three children (and now my grandson) all loved “Go, Dog. Go!” by P.D. Eastman. When my oldest son was in elementary school, I asked the librarian to make an attempt to interest my son in a different book because he would choose this same book every week! I gave up and let him enjoy reading about the dogs. My favorite for little kids is DEFINITELY “Go, Dog. Go!” – just like Debbie (woowoo! ), but when we get into older kids, nothing beats The Phantom Tollbooth by Norton Juster. TOO much fun! “Alejandro’s Gift” by Richard E. Albert, both for the message of its story and desert illustrations by Sylvia Long ranks as my downright favorite. I love, love, love this book. If you want to instill in your child, or grandchild, a love for nature (gardens and wildlife and such) and the concept that receiving equals giving, please buy it for them. Or even if you are an adult appreciator of good children’s books, get it for yourself. For me just gazing at Ms Long’s artwork acts as a great anti-depressant.